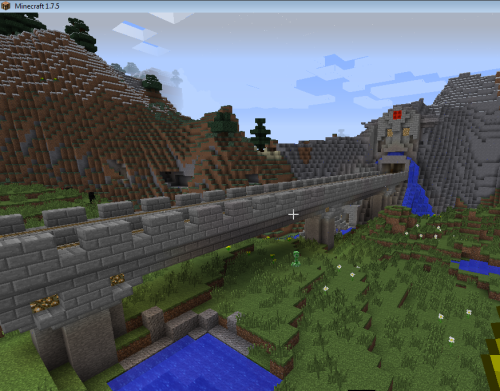 If you are interested in joining the MWG Minecraft Server, please apply here. We have a limited number of slots, and quite a few active players, but from time to time I'll look for a couple more people to join us. So how do you apply? Simply reply here and convince me that you will be fun to have on the server. This can be by screenshots, videos, recommendations from people already on the server, or any other creative way that you can think. Make sure to include your Minecraft username so that if I accept you in, I can do it quickly. i was way to quick and made my own thread before this was posted. . .
here it is, i just deleted the post and moved it here. the imgur album is a tour of a save file ive been through hell and back on, i made it in the hospital two and a half years ago when my daugther was born i would stay up all night playing so that when my baby woke up i can pick her up and rush her out of the room right away so my fiance could sleep and since than its picked up emotional value, to keep it up to date with the updates ive had to cut and paste it a few time with world edit so its a bit chunky, i almost lost it to a chunk glitch as well. but ive saved it, it is now back up on a few hard drives etc. Im now 25. my daughter is 2.5 years old. i work full time and dont get to play as much but would love to help with group builds and just general team work and see what we can do in minecraft. (i also dont play as much because i have since started playing warhammer 40k heresy campaign, infinity and warmachine. anyways here is the album. There are some redstone tricks and trapdoors, a nice hobbit hole. the lava at the end has a hidden walk way, it was before i learned about elevators so there's lots of stairs, and that giant waterfall, diving board i spent hours jumping of off.. hope you like it. If given a spot on your server, I would like to focus on collaborative projects and events with other players. Those PvP arenas are just begging for some bloodshed and a YouTube video! My build quality is always improving, and you can expect a minimum seen in my Minecraft Video #3. Currently, I'm infatuated with redstone, and being an EE major, I think I'll offer a decent mind for innovative and clever contraptions. Last edited by blackmagenate on Tue Mar 04, 2014 8:22 pm, edited 1 time in total. I’m not gonna pretty it up, my design skills are pretty average. 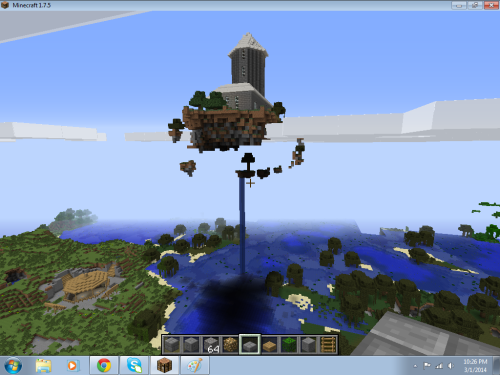 I primarily work with modded versions of minecraft to expand energy mechanics. As such I am expert at red-stone circuitry in the vanilla game. My creativity isn’t ion the sense of amazing designs so much as being unique. for example my house in the server would actually be a submarine I build underwater in the lake the village is built over, and after that I would want to make a massive farm complex a bit away from the village to supply people with free food, simply put in minecraft I enjoy being space efficient and helpful, build were no one else does and do things most people find an annoying chore to interrupt them building. I have 2 friends, I’m aware you cannot check but, both have agreed that I am an excellent player. I am not a griefer/thief/accident-prone-person because I hate immensely when my supplies go missing or my work is damaged and I would never wish that feeling on others. I am also extremely careful when I play minecraft because I make things out of glass normally and one mistake is a lost block so I am unlikely to accidentally put something were it must not go and unleash damage, it need not be said if that does happen I will rebuild it with my resources. And I amnt sure how relevant this is but I live in the UK and so I all likely to be on when the server is more quiet. Possibly allowing me to occupy the same spot on a list as someone who will be on at completely different times. It’s your decision whether that is relevant however. P.S. I can supply pictures of my minecraft projects but they are all modded so I amnt sure if you will find any worth in them. They include work such as a moon dome and a NASA station, as well as a lava generator and smeltery, and some rather large farms. My little cabin as I build. Quite fond of it. 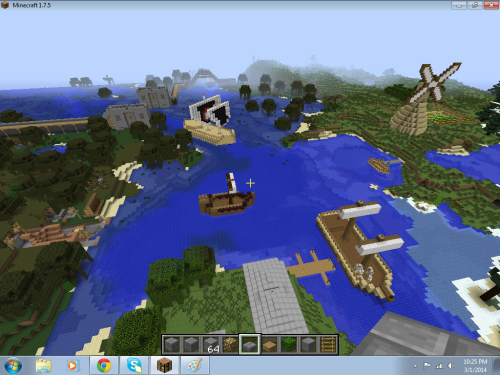 I did these all in survival (floating island involved a falling and long climbs) Its the start of my own city. At present I am working to make the Dwarf Hold in the last few photos. 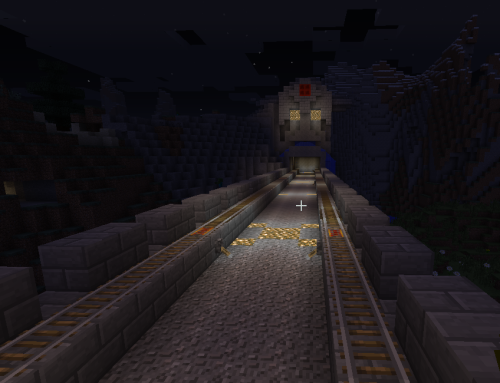 I fancy myself a bit of a dwarf in Minecraft due to my love of mining and tunneling underground. 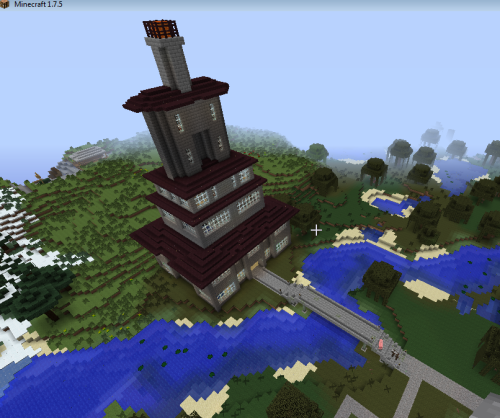 I would love to build it on a server though, as it needs to get a lot bigger! and so other people can see it. I am pretty good with redstone and can usually get every thing working how i want. (not always the most efficient about it but get there eventually). A lot of the servers I have played don't really have any communities associated with them and are just too hostile for my liking so yours seems like a great fit for what I want to do. Hope to get added soon. Last edited by TommyRelic on Fri Mar 07, 2014 12:18 am, edited 4 times in total. Hi there! Ah! So long since I have logged into the forums here that I couldn't remember my login. No harm done I suppose haha - A fresh start! Minecraft has always been my guilty pleasure.. and you know what is better than minecraft? Minecraft with other people! Better than that? Minecraft with awesome people! (especially on a whitelisted server, the people tend to be more closely knit). EDIT: Assuming my application is accepted.. I have a huge amount of experience with minecraft servers of all kinds (bukkit, tekkit, ftb etc..) so if you ever need a hand give me a shout and I should be able to point you in the right direction! Last edited by Blyro on Tue Mar 04, 2014 7:37 pm, edited 2 times in total. I would still like to play with you guys. Here is a mine cart ride to my house. I like to get out and explore a lot. I seem to like making cart rides all over the place so I try to find mines and get all the tracks I can. If I get in I think I would like to make a large castle. It would be great to play on an active friendly server. hey,I'm new here and I saw the minecraft server,I'm just a casual builder,caver and explorer,I try to do red-stone but fail half the time,my knowledge of red-stone is basic and I enjoy building mob traps and castles,my building is above average,as I try to have fun with mine craft,my previous server visits have been less than successful because I had not fitted in on the servers and wish to be in a place where I belong,(within a war gamer minecraft server),I have been a fan of MWG for at least two years and wish to be apart of some of the activities,I do not have any screenshots of any of my builds but if I get into the server I wish to do my up-most extraordinary builds. As before I'd love to play Minecraft with fellow wargamers. PS. MC IGN is "Redvig"
Hello! I'm SGASheppard and In Case you have room after you add more players (if you do). I play a lot of different games including minecraft I can get you some references from my clan on steam if you want to know what its like to play with me. I do have video recording software however I do not have the time to use it very often as I am a full time student in Biochemistry. I can build using redstone just not all the complicated multi combo doors and such but enough to get by. 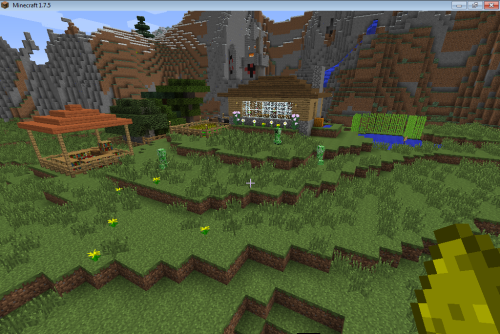 Here is a link to some of my minecraft buidlings and farm. I have done an automatic sugarcane farm before but I do not have any images of it. My Username is SGASheppard and I look forward to hearing from you either way. hello I was just watching the last video of the server and you said to post on the forums and see what happens. just a bit on what I like to do in minecraft: redstone, Necron/probably any war hammer object you want me to build. and I am pretty good with medieval building as well as taking pictures from real life or something and recreating it into minecraft. hello. i know i have already sent my application but it turns out i made a rather large mistake. my minecraft account had to have a name change. it is actually "destuctirGB"
I can watch it, works fine.